The 2017 Lassen College men’s soccer team has officially finished the conference play with the Golden Valley Conference Title. The men finished first of the seven Golden Valley Conference teams with a record of 9-1-2. The Cougars suffered their first and only loss of the conference against Feather River College Friday, Nov. 10. 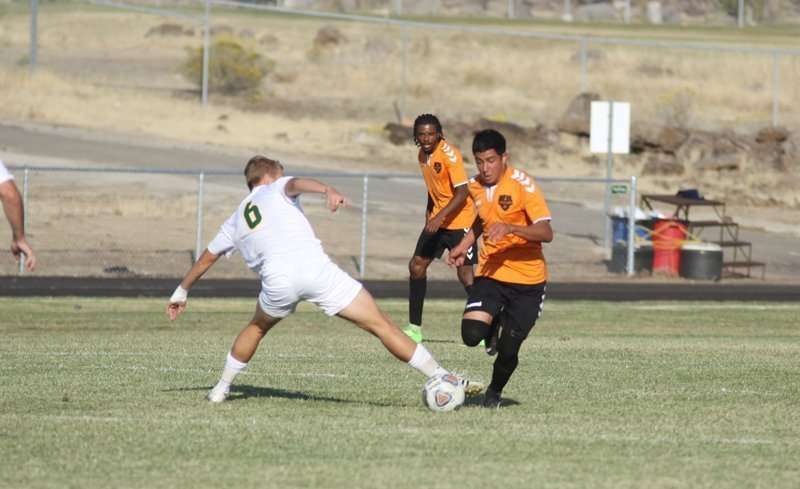 The 3-0 shutout win for the Feather River Golden Eagles was enough to spoil Lassen’s undefeated title, but it wasn’t enough to keep the Cougars from finishing first in the conference. 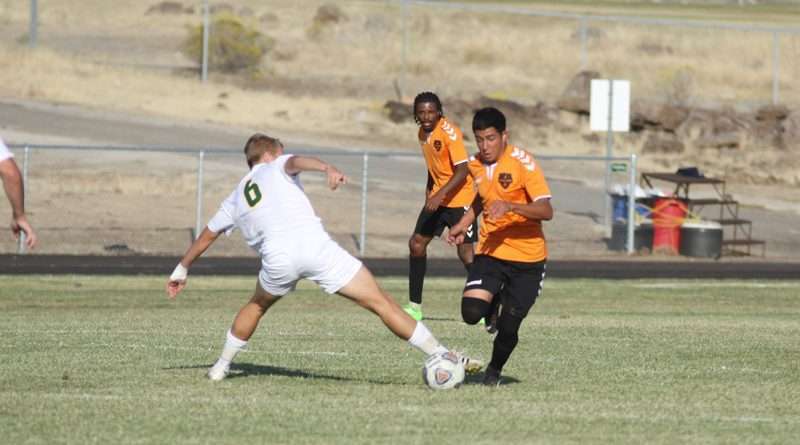 With the win, Feather River finished tied for second in the conference with a record of 8-2-2. The other second-place team was Lake Tahoe with the same record. During the Nov. 10 game, the Golden Eagles scored two goals in the first half and one in the second. In between the first and second Golden Eagle Goal, Cougar player Gifanho Lubaki was red carded, and thus the Cougars were down a player for the remainder of the game. Lassen’s keeper, Jordan Brown, had seven saves that kept the score from leaping further into the Golden Eagle advantage. In total, the Cougars had two shots on goal, but the Feather River keeper blocked both. 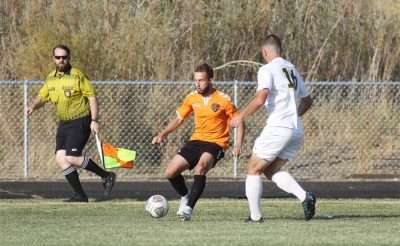 Though the final game of the conference didn’t show Lassen playing in as high of a caliber as usual, fans can be assured that the Lassen College men’s tem is more than ready to bring back their fighting spirit in time for playoffs.